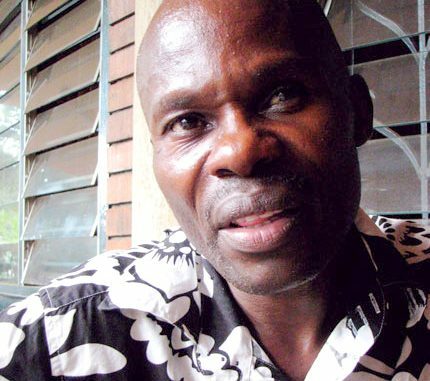 One month after winning a case against a newspaper that outed one hundred Ugandan homosexuals and called for them to be “hanged”, one of the plaintiffs, David Kato, pictured above, was found murdered in his home in Mukono outside of Kampala. In a press conference, Ugandan Police has denied David Kato Kisule’s death being linked to his being a gay activist. In a statement delivered to the press from Uganda Police Inspector General Maj. Gen. Kale Kaihura, the Police advises the public to disregard any insinuations that have been attributed to Kisule’s death. However according to one source contacted by the Kampala Dispatch, Kato’s computer was not taken, only a few clothes. Kato, 46, a self employed Uganda was attacked at his home in Bukusa-Kyeutume, Mukono district. Police say he was hit by a hammer on his head by assailants who locked him in his house and disappeared. 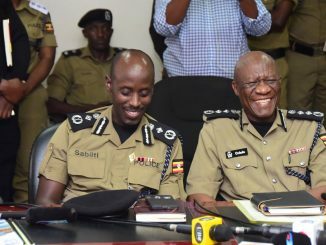 Police Deputy spokesperson Vincent Ssekate who represented the Police IGP Kale Kayihura, said the deceased sustained serious head injuries and died at Nakawa while he was being rushed to Mulago Hospital. 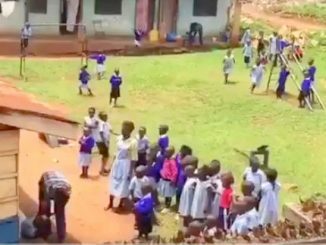 “The residents claim they saw someone in a jacket and shoes that belonged to the deceased moving out of the house in a hurry, which attracted the attention and suspicion on the people in the neighbourhood,” said Ssekate. Ssekate added the residents forced their way into Kato’s house and found him lying down unconscious with a hammer lying nearby. Police has so far arrested one suspect, Arnold Ssenoga who was the deceased’s driver while another suspect, who had allegedly been recently released from prison on bail for theft charges is on the run. In November, a judge in Uganda ordered the local Rolling Stone newspaper to stop publishing the names and photographs of people it says are homosexual. Kato was one of those named in the newspaper and his address and details were included in the newspaper. The judge made the order following a lawsuit by the gay rights group Sexual Minorities Uganda (SMUG). The group says some homosexual people were attacked after the list was published. 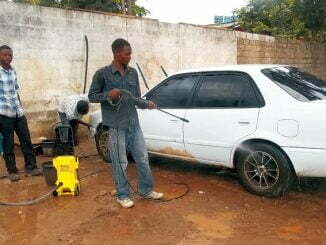 Kato has been an activist in the Sexual Minorities Uganda (SMUG). High Court judge Vincent Musoke-Kibuuka said the publication was “an infringement or invasion of the right to privacy” of those identified. Then in January, the representatives of the gay community won their case against the newspaper. The judge stated that the threats to “hang” the people mentioned went against their basic human rights guaranteed in the Ugandan Constitution. In an interview with Reuters after the murder, Giles Muhame, the 22-year-old editor of the newspaper, said he condemned the murder and that the paper had not wanted gays to be attacked. “If he has been murdered, that’s bad and we pray for his soul,” Muhame said. Homosexual acts are illegal in Uganda but last year Member of Parliament for Ndorwa West David Bahati introduced a bill which would mean some gay people could face the death penalty. Calls to Bahati went unanswered as his phone was turned off. Additional attempts to contact Ethics and Integrity Minister James Nsaba Buturo, another vocal critic of the gay community, were also unsuccessful. The proposed Anti-homosexuality Bill sparked an international outcry after it was introduced to Uganda’s parliament a year ago.